My research combines techniques from neuroscience, physics, engineering and computer science to study the dynamics of neural circuits in awake moving organisms. We are part of the Department of Physics and the Princeton Neuroscience Institute. The Leifer Lab outside Jadwin Hall at Princeton University. To study neurocircuits, we build tools that monitor and manipulate neural activity in a worm with light. Computer vision software identifies targets on the moving worm. 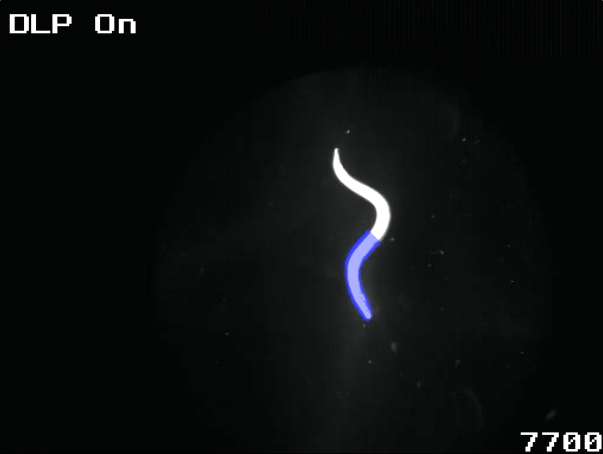 Laser light is precisely targeted to neurons in the worm. Optogenetic proteins inhibit the worm's ventral nerve cord in response to green light. Changes to the worm's behavior are precisely quantified. These tools provide functional information about how neurons work together in a circuit. The worm's neural activity is measured simultaneously with behavior. An interneuron's activity (AVB) is plotted with behavior. 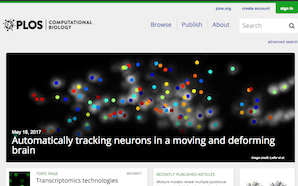 Automated neuron tracking paper, Ngyuen et. al, is featured on PLOS Comp Bio homepage. 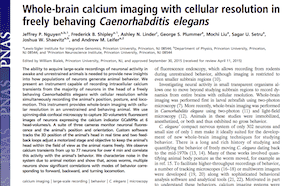 Whole-brain imaging paper, Ngyuen et. al, is published in PNAS and featured in this commentary. View this video on vimeo!